New generations of families deserve a new generation of boats, only from Cobalt. Forged at the intersection of unsurpassed luxury and superior wake surfing technology, Cobalt Surf is the choice for today’s discerning, fun-seeking family. Equipped with a Volvo Penta FWD Engine, the boat is pulled through the water by two forward-facing, counter-rotating props, generating top speeds with ease. With the one-touch versatility of full-range power trim, drivers can easily manipulate the wake for surfing, wake boarding or smooth cruising. 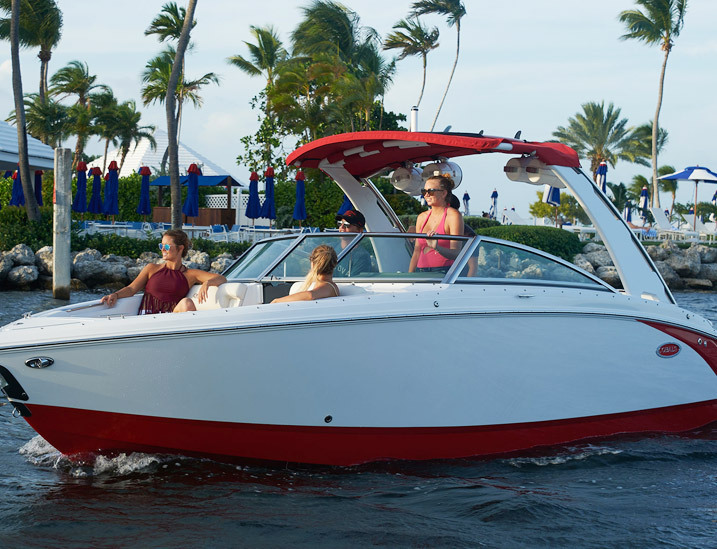 And with Cobalt’s signature deep-V hull design and extended running surface, you get the soft, dry ride you expect from a Cobalt – no matter the conditions. The best-engineered surf boat in America is also the most luxurious boat on the water. From the handcrafted interior and award-winning ride to the deep-V hull design and finely crafted interior details, luxury is truly found in every detail. 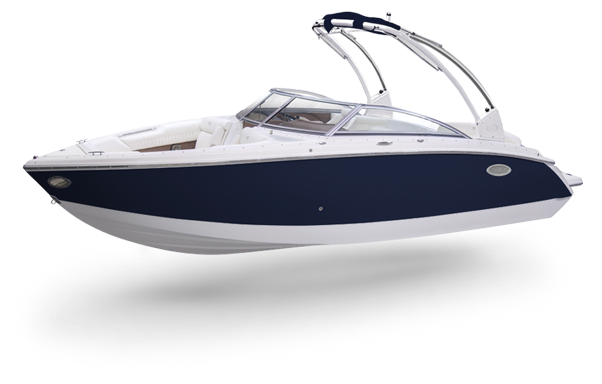 With the Cobalt Surf Series, experience unsurpassed elegance and comfort in a boat designed to meet the diverse demands of a full day on the water. 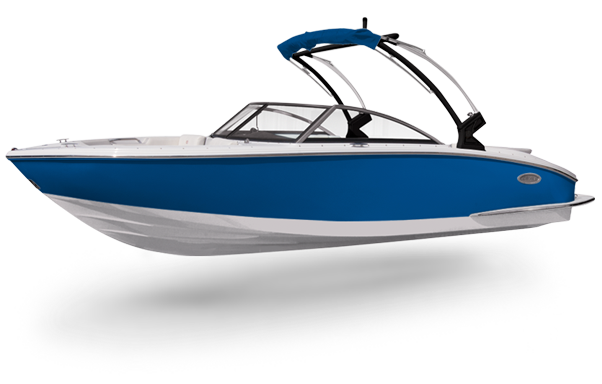 The Cobalt Surf cockpit is where you can really see and feel the difference between a Cobalt and other surf boats. 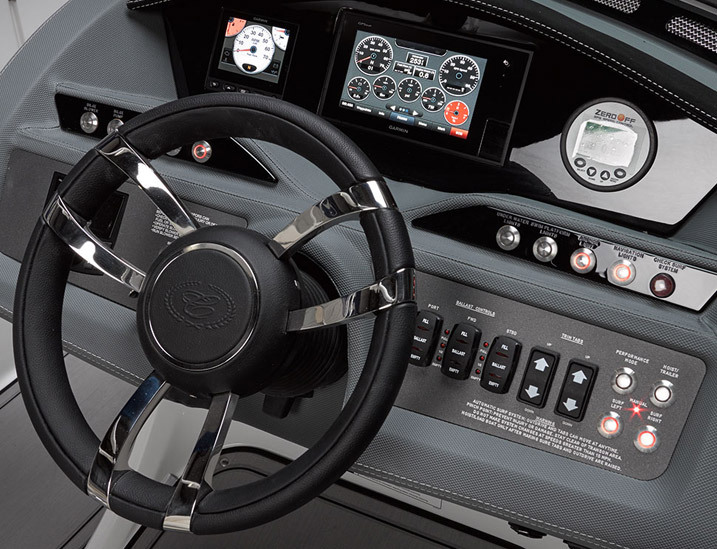 The upholstery-over-fiberglass helm station, stainless steel switches, glass cockpit touch screens and aluminum dash panel all insure the premium functionality and overall durability of your boat – a small sampling of the many interior details that make Cobalts unique in the surf category. Cobalt’s TruWave technology begins with the Volvo Penta FWD drive, uniquely engineered with forward-facing duoprops positioned well under the boat. 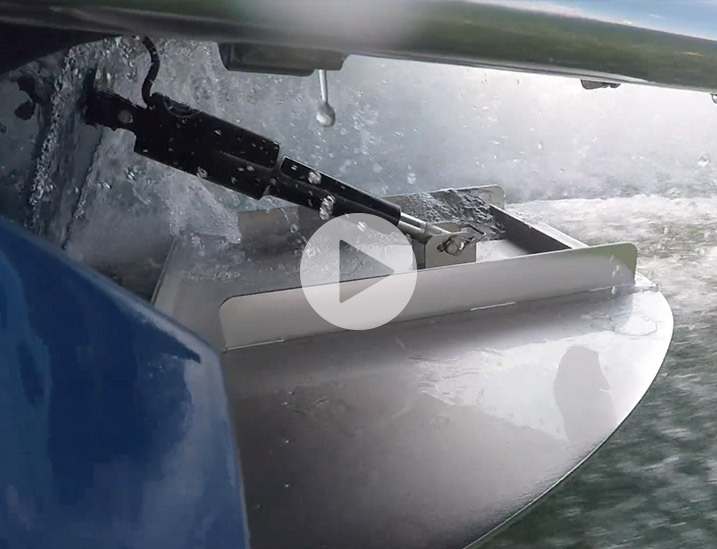 The counter-rotating props pull the boat through the water rather than pushing it, resulting in better bite, acceleration and speed in a more efficient, smooth way. The core of the TruWave system is simplicity of operation. Easy left- or right-surf configuration at the the push of a button, while the computer-controlled surf tabs automatically adjust, creating a clean face and serious push on every wave. 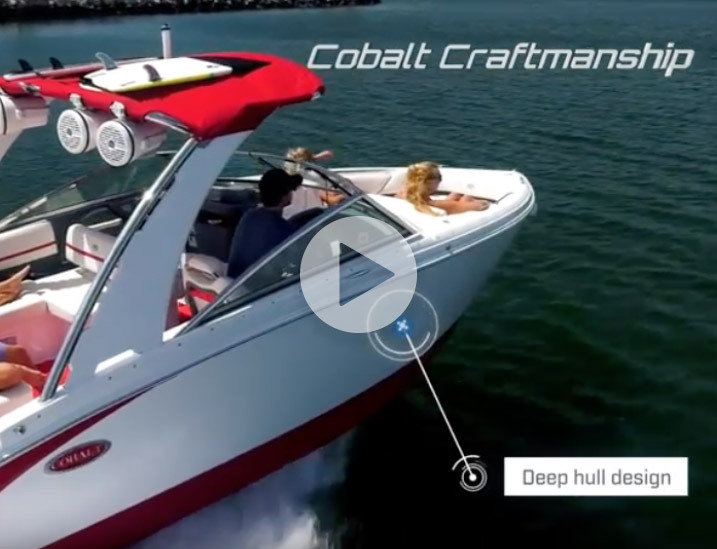 And with Cobalt’s proprietary Performance Mode, there’s no need to pump out ballast to get the boat on plane and running at speed. 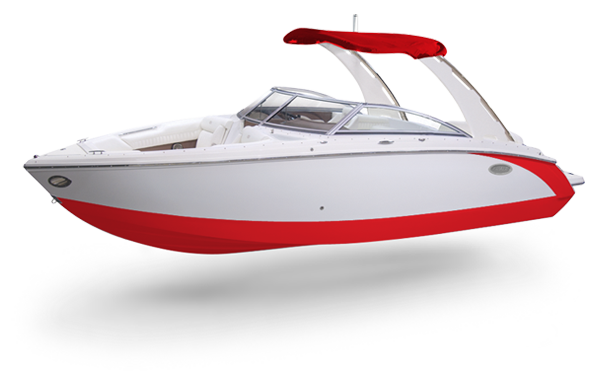 You don’t have to stand next to a Cobalt Surf boat to identify and appreciate its unique elegance – you can see it from a mile away! The highest performing and meticulously engineered boat on the water is also the most beautiful and well-constructed. 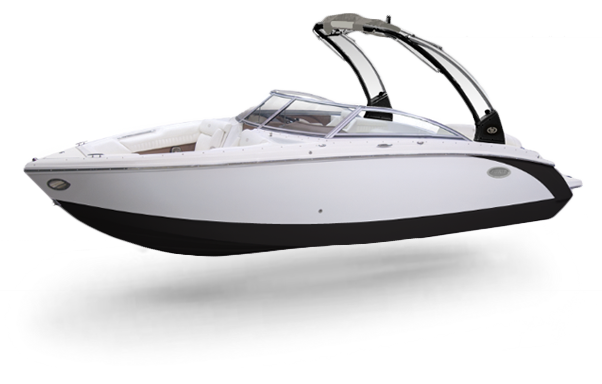 Every Cobalt Surf boat has the styling and construction that can only be a Cobalt. 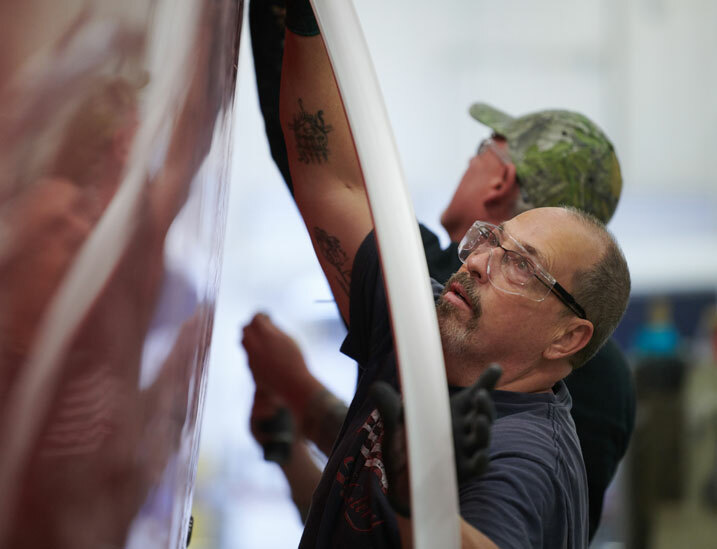 From its unique 14-layer fiberglass reinforcement at the keel, barrier coat between the fiberglass and gelcoat, and boat graphics molded directly into the fiberglass – every Cobalt Surf boat stands out among all others on the water.